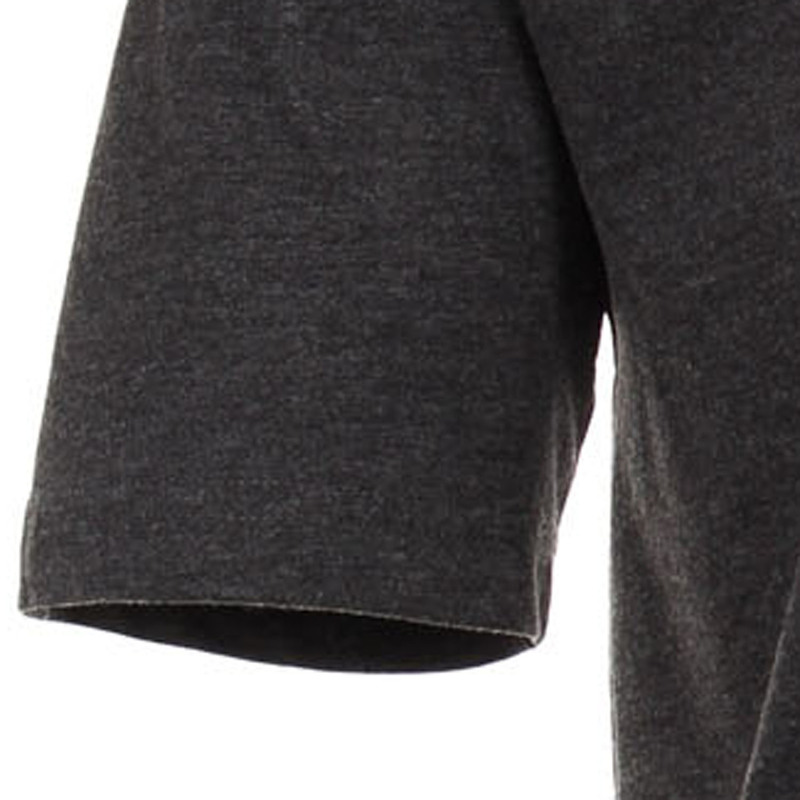 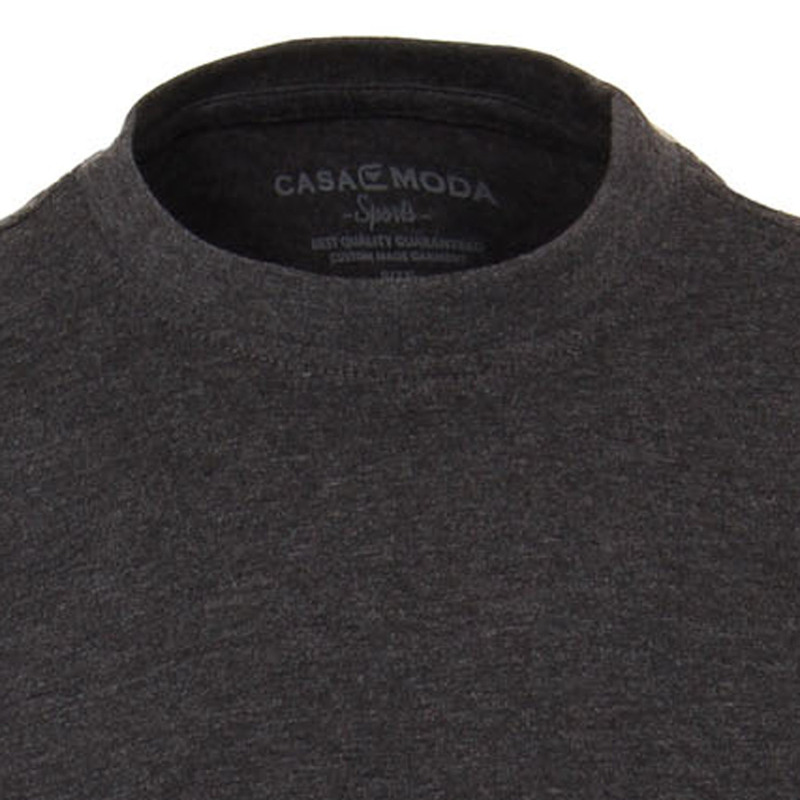 This basic T-shirt in heather grey for men from Casamoda is available in large sizes up top 6XL. 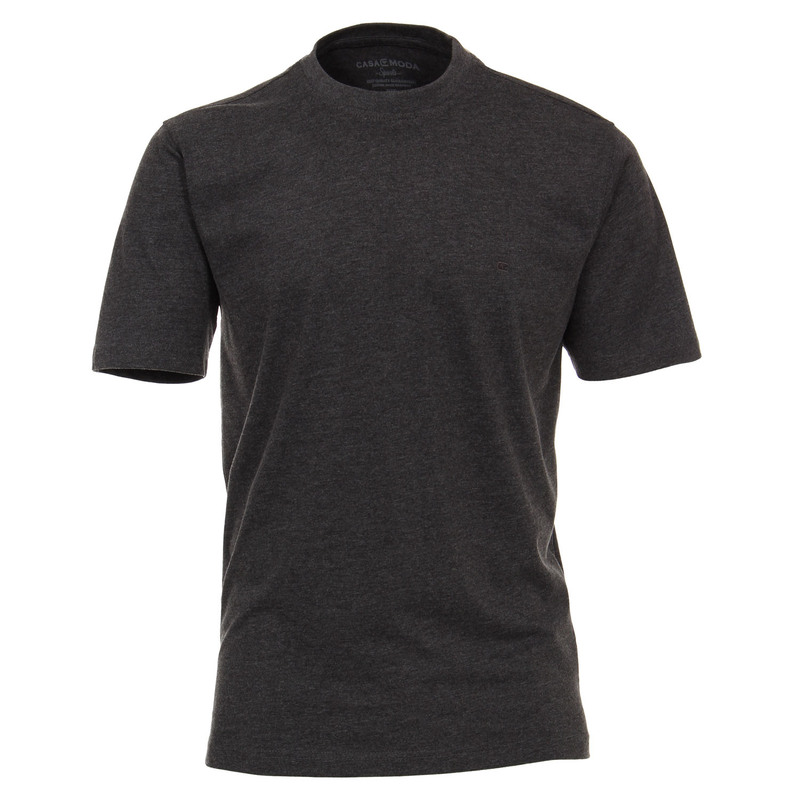 This T-shirt has a round neck and a comfortable cut and is made of very soft cotton. 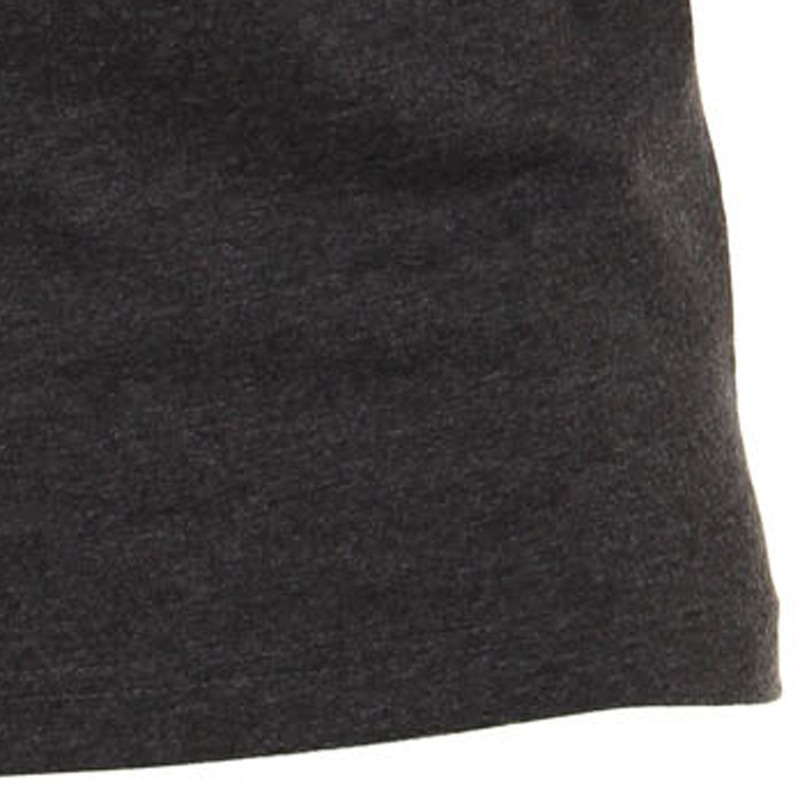 On the breast pocket there is a small logo embroidery.